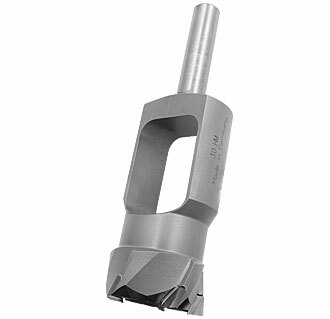 Series 1616.1 tenon cutters from Famag feature tungsten-carbide tipped cutting edges. 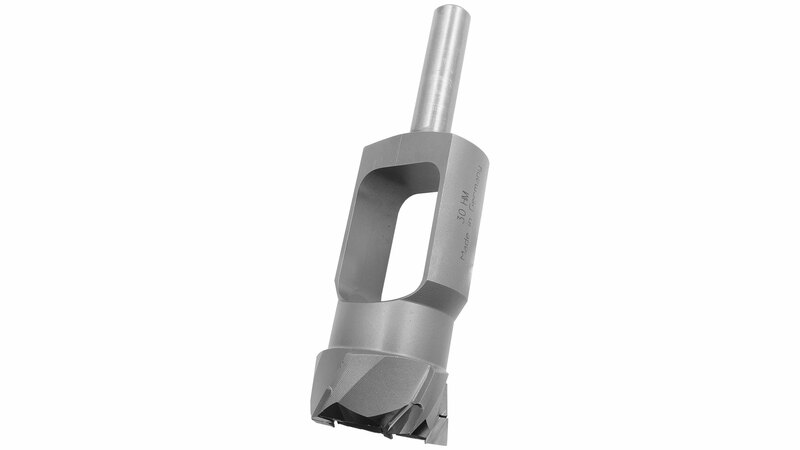 Wherever tenons and plugs must be produced in fairly large quantities it is best to go for a TCT tenon cutter because you can expect the tool to last a long time, especially when processing hardwood. 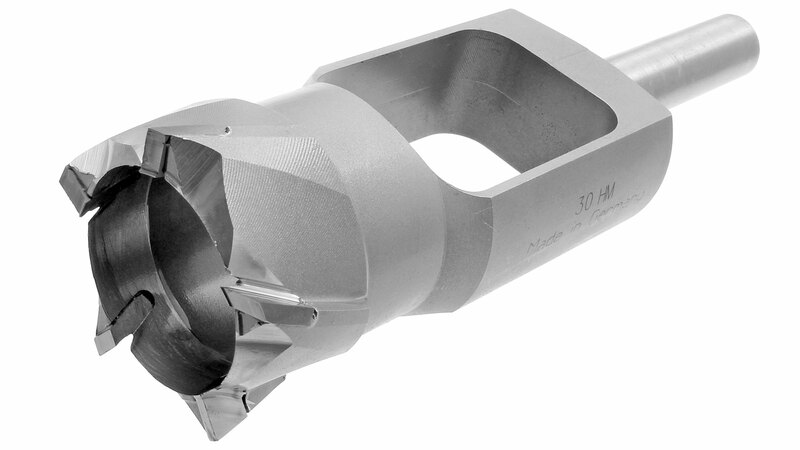 For exotic hardwoods which are especially hard to process, you shouldn’t even consider a tenon cutter made of tool steel. Even if you are processing only a relatively small quantity of tropical hardwood this TCT tenon cutter will prove indispensable. Use only in stationary machines or pillar drills with reliable workpiece clamping! Note that the 40 mm and 50 mm tenon cutters have a shank diameter of 16 mm! Hint: Position the tenon cutter close enough to the edge of the workpiece in order to cut a circle that is partially open. This greatly improves chip ejection.